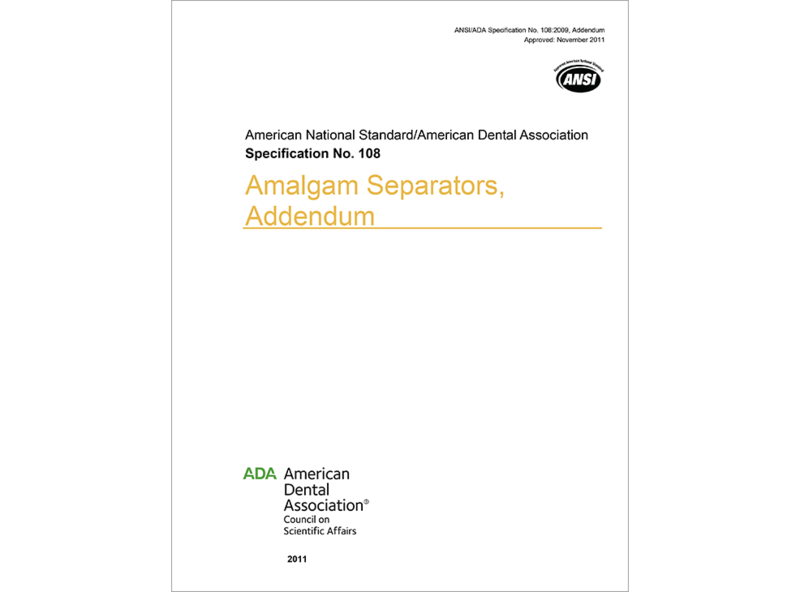 (DOWNLOADABLE PRODUCT) This standard specifies requirements and test methods for amalgam separators used in connection with dental equipment in the dental treatment center. It specifies the efficiency of the amalgam separators in terms of the level of retention of amalgam based on a laboratory test and the test procedure for determining this efficiency. It also includes requirements for the safe functioning of the amalgam separator, for marking, and for instructions for use, operation and maintenance.